The Sega Mega Drive Mini will launch on September 19 this year, in both North America and European territories. The self-contained console will be known as Sega Genesis Mini in North America, and it will ship with 40 games in total. Sega has confirmed ten of those titles: Ecco the Dolphin, Sonic the Hedgehog, Castlevania: Bloodlines, Space Harrier 2, Shining Force, Dr. Robotnik's Mean Bean Machine, ToeJam & Earl, Comix Zone, Altered Beast and Gunstar Heroes. The hardware will ship with two wired, USB controllers, and it will be priced at $79.99 in the US, £69.99 in the UK, and €79.99 in Europe. BlastEm v0.6.2 is released. BlastEm has the goal of being an extremely accurate Genesis emulator while still running on relatively modest hardware by using advanced techniques. Currently it meets neither my accuracy nor performance goals, but those goals are pretty high. Speed and accuracy should be sufficient for most purposes. It runs at full speed on an old first generation Intel Atom and can run Sonic 2 at around 600 fps on a Haswell desktop using a single core. To my knowledge, it is the only emulator besides Genesis Plus GX that can properly display the "TITAN 512C FOREVER" portion of Titan's Overdrive demo, and the only emulator besides Exodus that passes all 122 of the tests in Nemesis' VDP FIFO Testing ROM and can properly display "Direct Color DMA" demos. SEGA Deals Week at Amazon Features Sega Genesis Classic Game Pack for $5.62! SEGA Deals Week at Amazon! Amazon is celebrating SEGA Deals week with discounts up to 93% off PC Digital titles! 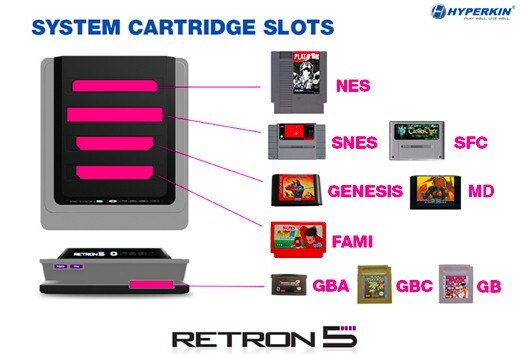 Hyperkin's five-slot retrogaming solution RetroN 5 is now up for pre-order atAmazon ahead of an October 31 release date. The RetroN 5 is compatible with original Nintendo Entertainment System, Super NES, Sega Genesis, and Game Boy Advance cartridges, and also supports the Famicom, Mega Drive, Game Boy and Game Boy Color cart formats. 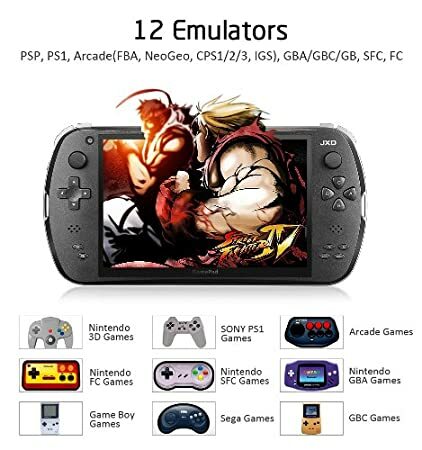 The package includes a wireless Bluetooth controller, and the console itself features an array of controller ports, supporting original NES, SNES, and Genesis peripherals. While 8-bit and 16-bit consoles maxed their video output capabilities at S-Video (or worse, composite), the RetroN 5 features HDMI output for all supported games. The platform also offers a number of features common to emulation software, allowing players to speed up and slow down gameplay at will and enabling the use of savestates. Joystiq's JC Fletcher previously weighed in on the console, praising its space-saving form but admitting that it fills a small niche "between pawn shops and Virtual Console." The RetroN 5 is available in black and grey, and is priced at $99.99. There are at least two schools of thought when it comes to playing retro games. Let's call it two for the sake of argument. On one side, there are people who want all the modern conveniences, both in-game and out: save states, fast-forward and rewind in the games, and wireless controllers, high definition output, and non-finicky hardware to play them with. These are the people who like emulation the most, either through downloading ROMs or official downloadable re-releases of games. On the other side, there are people who strive for absolute authenticity: real cartridges on real consoles, played on CRT televisions with real controllers. These are the people who, hypothetically speaking, stuff a Twin Famicom in their suitcase while on a business trip to Tokyo. Somewhere in the middle is this thing.